As a Christian, you are called by God to serve. This calling does not end when you stop receiving a paycheck. Retirement is not only a reward for past service but a stepping-stone to future ministry. We call this your Future Funded Ministry! When you successfully construct and fund a retirement plan, you are creating a source of money to fund your future ministry activities. What an exciting way to live! I was standing on the platform of the Northern Railway station in Whitefish, Montana. My memory is sometimes challenged but it looked the same as it had 50 years before. With all the air travel I do, being at a train station is amazing. 50 years before my wife and I had taken the family on the Northern route from Seattle to Chicago. The scenery was stunning and I got off at Whitefish to absorb the beauty of the station and the mountains beyond. If you have not been to Glacier Park and its vicinity, it needs to go on your bucket list. 50 years ago, I was at a key juncture in my life. 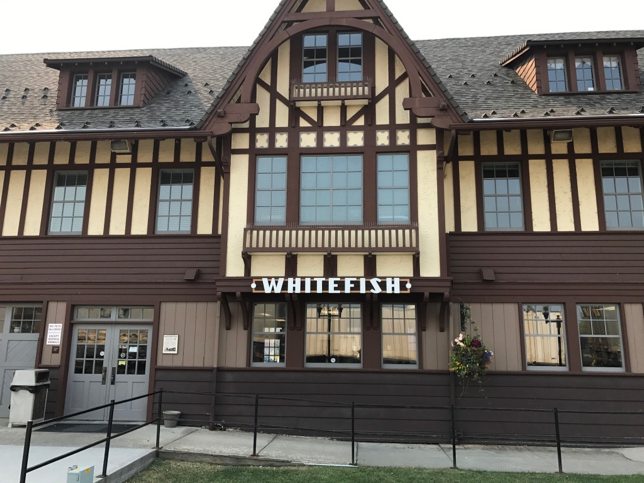 The train trip, and even the stop in Whitefish, were times of prayer and reflection about my future. I’d worked hard, had my MBA, and a resume that included Ford Motor Company and Boise Cascade, Corporation. At Boise, I’d moved through two product management positions, a brief stint as National Accounts sales manager, and was now the Assistant to the Divisional VP. From an outsider’s perspective, the world was my oyster and moving up in the organization was a virtual certainty. Yet, I was unsure. Are you familiar with this feeling? Often, we move or change jobs because we have to. This was somehow different. I was not yet a mature enough Christian to have developed the listening ear to what the Holy Spirit was saying. At the same time, I knew there was something more, or maybe just different that I was supposed to be doing. It was a major juncture in my life. Perhaps the fact that railroads have junctions is what prompted my connection with that particular time in Whitefish and the issues of life transitions. Those times come up often enough so we know they are important, yet seldom enough to remember how important they are. It is the decisions we make at the junctions of life that are so important. They direct, or re-direct, our life’s journey. Often, they are the points in time when we change direction. But they can also be times of affirmation for our current course. I like to think of our life’s journey being represented by a river - the river of life. Rivers continuously flow but the speed of the flow is not always constant. On the train from Durango, Colorado to Silverton you shadow a river most of the time. While it is all beautiful, you can’t help but notice how the river changes. It becomes narrower at points and speeds up dramatically. The fast flow opens up to a wide spot where it slows down and becomes peaceful. The color of the water also changes depending on the color of the rock, the sand, and the sun. Our lives are similar to that river. It is at the points of transition, the junctions with the streams that feed it fall into the depths, that symbolize the action of life. There are key points of beginning and ending, coupled with the junctions of change. Was I going to leave the “safety” and certainty of the big corporation or not? There was a restlessness inside of me as I paced the Whitefish train station so many years ago. It is amazing that I can remember the event, the feelings, and the emotions from that brief moment nearly 5 decades in the past. Standing there now many of those same feelings came back. I’m at another junction, another point of transition. While there are junctions that seem to pop up every 10 years or so, this one seems like another important one. Another Whitefish moment. Fortunately, I’m much further along in the experiences of life and my spiritual walk. I’m both more patient and both able and willing to listen to the promptings of God’s whisper in my ear. Another junction in life for me. And in many ways similar to the one of 50 years ago, and yet so much more satisfying. Understanding that listening to God’s call, allowing me the privilege of deciding that His will is mine, certainly makes this junction easier and less stressful. But no less important. The call this time will not uproot my family nor even require a move. It just requires obedience and taking each indicated step one at a time. We can easily understand and highlight life’s junction that occurs during the 60s. It is helpful to realize that there will most likely be at least two more major points of transition still ahead, not just the one that occurs in our 60s. Coupled with the anxiety of transition, we’d like to get our lives figured out and then just get on with it. It just does not work that way. It makes sense then to develop some skills at navigating those intersections. Of knowing how to recognize which track to take and what it’s going to require of you when you take it. God uses these changes to help direct our lives. Being in tune with his plan for your life, at each stage and during each transition is important. When we are in tune it gets easier. When we are not, it gets harder. Think about your life’s next junction. Hopefully you too will have a Whitefish train station where you can pause, reflect, listen and decide. Oh yes, my junction: God is calling me to reduce the number of things I am doing, and to focus on just three: serving Envoy Financial as CEO and expanding the number of lives touched by the ministry, bringing the message of the Retirement Reformation, changing the way we think and act during the last 30 years of life, and encouraging the growth of Business for Ministry, a key to the future funding of many ministries. When I write it down, it still seems like a lot. So, I’ll keep listening. I may even take another trip back to Whitefish. Want to join me?